Liberal Leader Justin Trudeau promised Monday to end boil-water advisories on First Nations reserves within five years. "We have 93 different communities under 133 different boil-water advisories," Trudeau told a town hall hosted by Vice magazine. "A Canadian government led by me will address this as a top priority because it's not right in a country like Canada. This has gone on for far too long." Earlier in the day, Trudeau released his full package of campaign promises, an 88-page plan that includes billions pledged for infrastructure projects, including investments in water facilities, as well as a commitment to First Nations education of $750 million per year over the next four years. 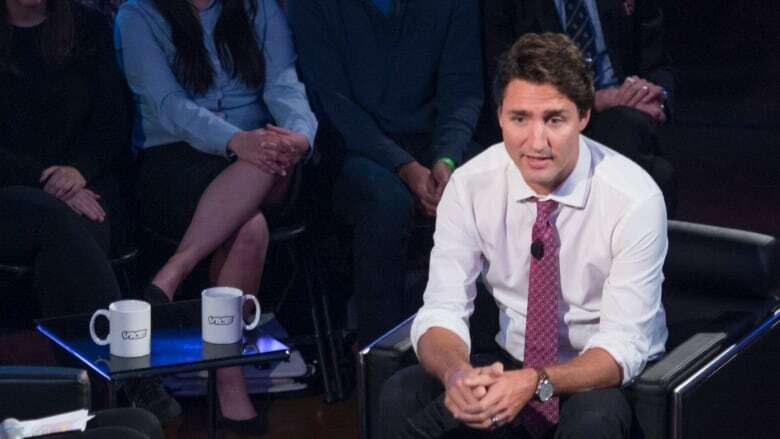 Trudeau's promise came on the same day as the Neskantaga First Nation, which has has the longest-standing boil-water advisory in the country of more than 20 years, made an appeal for the next prime minister to intervene personally to address the issue. More than 300 people in the northern Ontario reserve have been forced to live under a boil-water advisory since 1995. "We are calling on the government to be aware of this. We need action. We need resolution as to how [and] why this is continuing today in our community," Chief Wayne Moonias said Monday. Earlier this year, CBC News learned the federal government has spent more than $1 million on bottled water for the community.